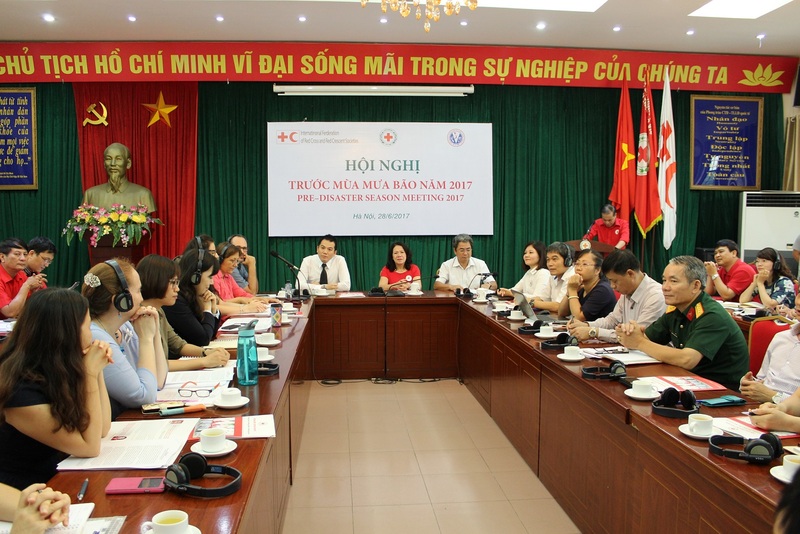 On 28 June 2017, the Viet Nam Red Cross Society headquarters organized the Pre-disaster Season Meeting 2017. The event was attended by representatives from the Viet Nam Red Cross departments, disaster-prone chapters, Central Steering Committee for Disaster Prevention and Control, National Meteorological and Hydrological Forecast Center, the Disaster Management Center, Red Cross and Red Crescent Movements and international organizations including the United Nations Office for the Coordination of Humanitarian Affairs (UN OCHA), UNICEF, UNDP and USAID. The meeting included forecast of natural disaster trend in 2017, mapping of resources and capacity of Movement partners in emergency response, reviewing of the 2012-2017 framework agreement in disaster preparedness and response among Movement partners, and sharing of the Memorandum of Understanding between the Viet Nam Red Cross Society and the Ministry of Agriculture and Rural Development, which was signed in March 2017. This agreement forms the basis for further cooperation agreements between the Red Cross and Departments of of Agriculture and Rural Development at the provincial level. In addition to enhancing cooperation with the government at headquarters and local levels, the Viet Nam Red Cross Society is also reviewing its existing response teams and looking into setting up new response teams at provincial and commune levels, as well as developing the disaster preparedness plan for 2017 to allow for more coordinated response.